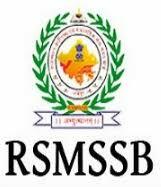 RSMSSB Notification 2018.Rajasthan Subordinate and Ministerial Service Selection Board has released a notification for the recruitment of Physical Training Instructor posts (TSP/ Non-TSP).Check the eligiblity and notification prior to apply for the positions. Last Date for Submission of Application is on June 29th, 2018.. Applicants those who completed bachelor/ diploma in physical education or possessing certificate in physical education can apply. Applicants age must be in between 18 to 40 years as on 01.01.2018. Selected candidates as PTI will get pay matrix in the level 10. RSMSSB accepts application forms only through online mode from 31st May 2018 to 29th June 2018. You may directly apply by clicking here: https://sso.rajasthan.gov.in/register for registration purpose and https://sso.rajasthan.gov.in/signin for login .